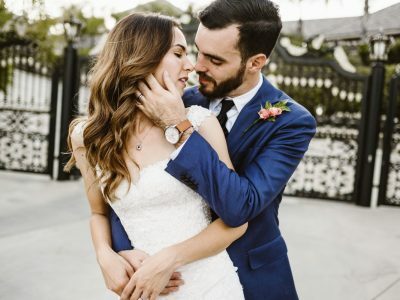 When Jay and Lindsay were looking into the different places available for their July wedding they quickly narrowed the search to wine country Temecula. 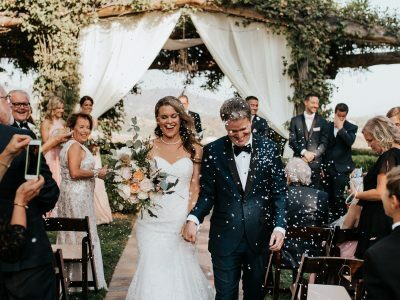 They liked the idea of having their wedding ceremony outdoors while being surrounded by a vineyard, and since they did not have the budget for Italy or Napa Valley, Temecula made a logical choice. After checking out a number of different venues in the Temecula area and needing a spot that was not only amazing but somewhat on the affordable end of pricing they ended up choosing Falkner Winery. Falkner had greenery, an outdoor wedding ceremony site and most importantly a team professionals. 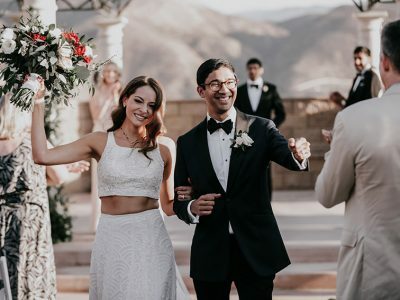 Jay and Lindsay got married at the lower wedding venue but since no one had the other ceremony site booked they opted to have their wedding reception outdoors in the garden area instead of the Pinnacle Room so guests could dance under the stars. The DJ played a mix of 1990s top 40, the toasts to the bride and groom were filled with emotion and the party rocked until around 10:00p.m. One of the more unique wedding venues in Temecula, California is a winery located about a mile off Rancho California road called Falkner. 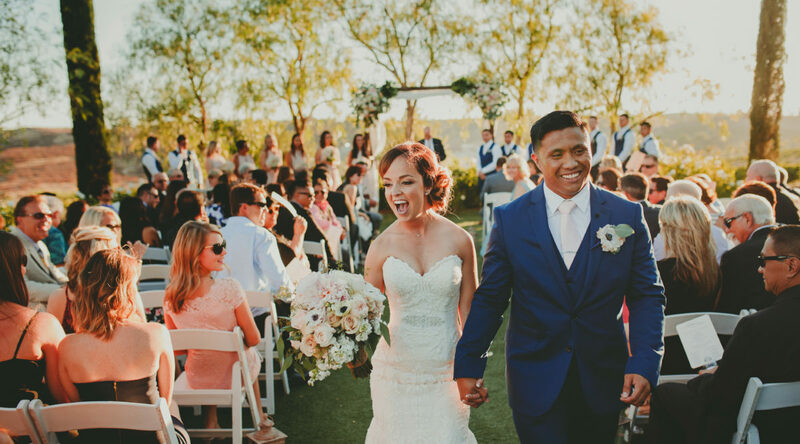 One of the coolest parts about this Temecula wedding venue and winery is that it offers prospective brides and grooms two ceremony locations to choose from. The garden venue is surrounded by trees and greenery, perfect for the coulee who wants that lovely outdoor vibe. The wedding reception is also held in the same area. However, Falkner also offers a second ceremony site on the lower half of the winery grounds. This secondary venue has more seating and has a beautiful view overlooking the entire Temecula wine country. Brides and grooms who opt for the lower ceremony site typically have their wedding reception in the Pinnacle Room, which is a modern venue that has spectacular views of the valley. The Pinnacle Room is also indoors, making it perfect for those wanting to have a wedding during the Summer months and don’t want to get too hot from dancing and partying! All images are copyright protected and courtesy of Temecula wedding photographer Ryan Horban of Rock This Moment.